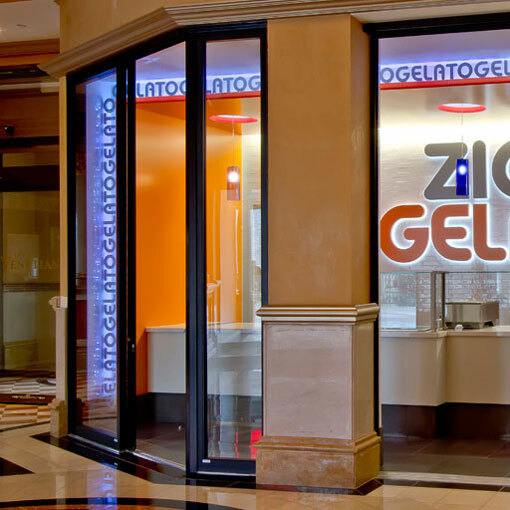 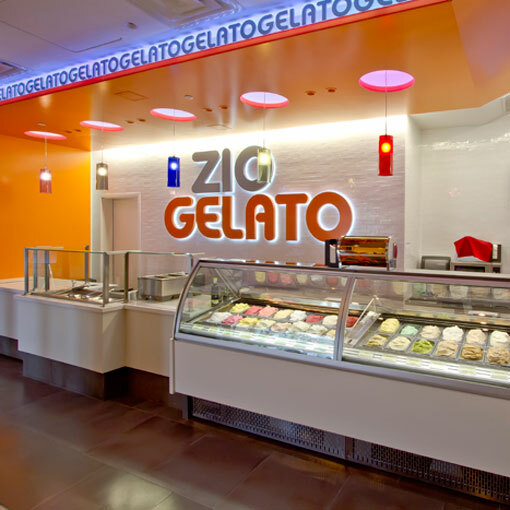 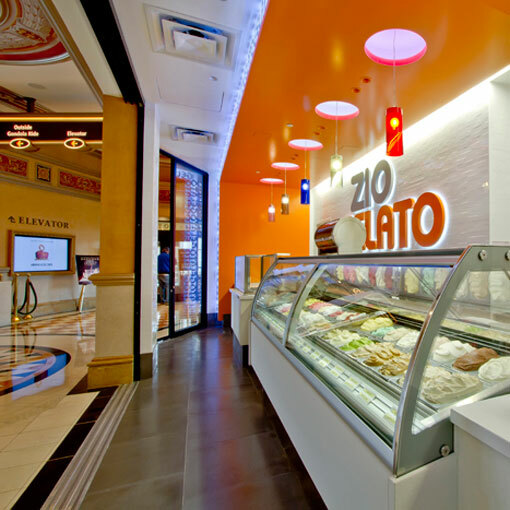 As part of the renovations to the retail spaces in the Venetian Clocktower in Las Vegas, a 550 square foot nook was carved out to become a boutique gelato store and creperie called Zio Gelato. 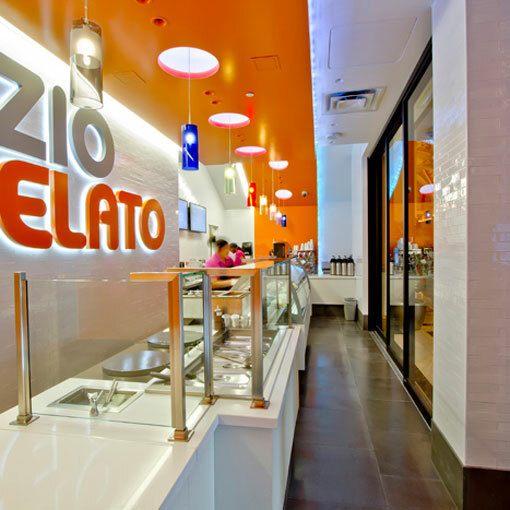 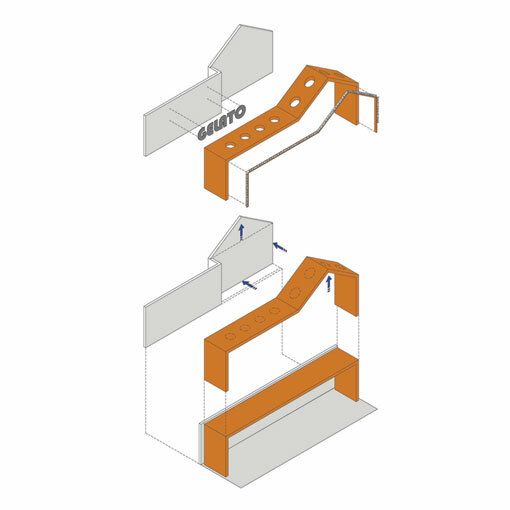 Because of its diminutive size, the client deemed it a priority that the space be arranged in such a way that would feel accessible and welcoming to patrons. 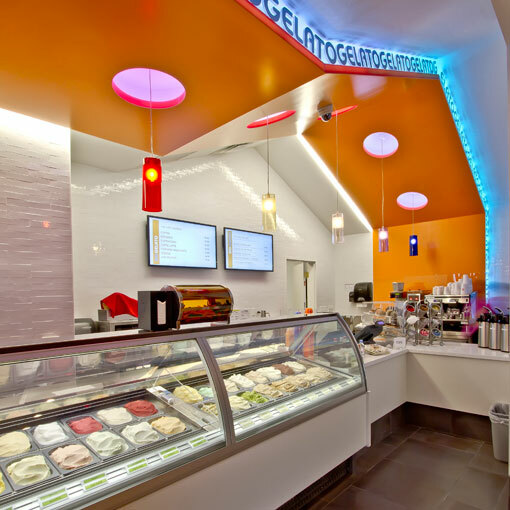 JZA+D’s design achieved an open and seemingly spacious retail venue by inventive use of color and geometry. 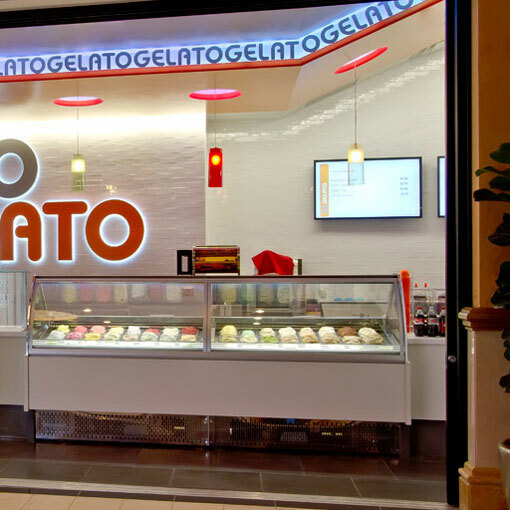 Large storefront openings and two sets of sliding doors multitask by guiding traffic, providing the space with more light and air, and, perhaps most importantly, showcasing the treats awaiting consumption inside. 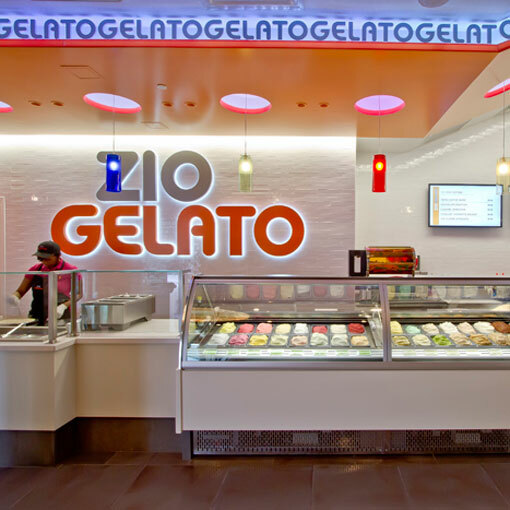 A ribbon of bright orange runs along the contours of ceiling and captivates the attention of passers-by, had they not already been drawn to the delicious gelato on display. 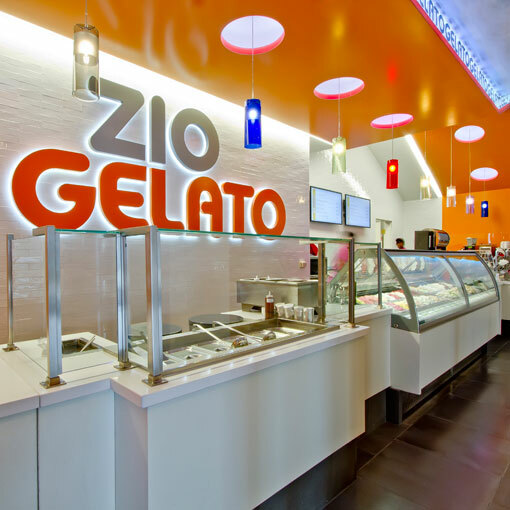 Zio Gelato defies the confines of its square footage and, like its delectable flavors, packs a lot of punch into a small package.